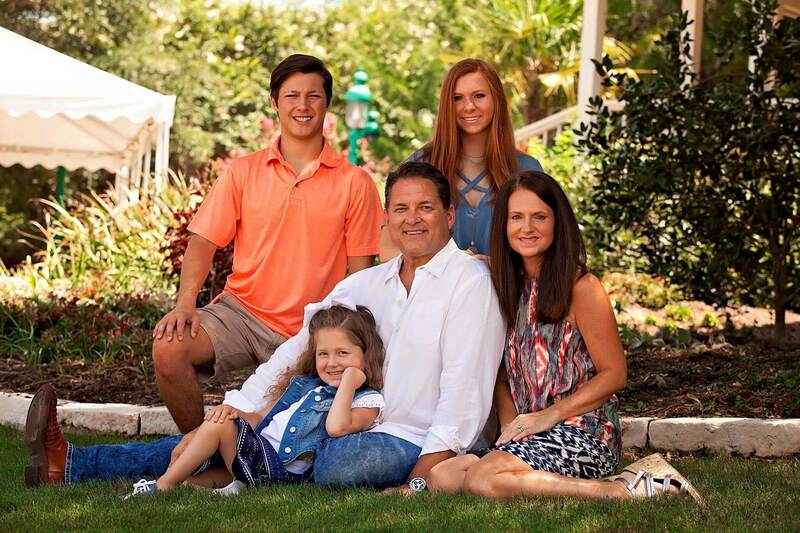 When Don and Leeann Fortenberry of Waco, Texas, learned their daughter Faith had spinal muscular atrophy (SMA) type 2, they were motivated to take action. Although the diagnosis came as a shock, Don and Leeann were determined to give Faith the best life possible while doing everything in their power to raise awareness for those living with neuromuscular diseases. 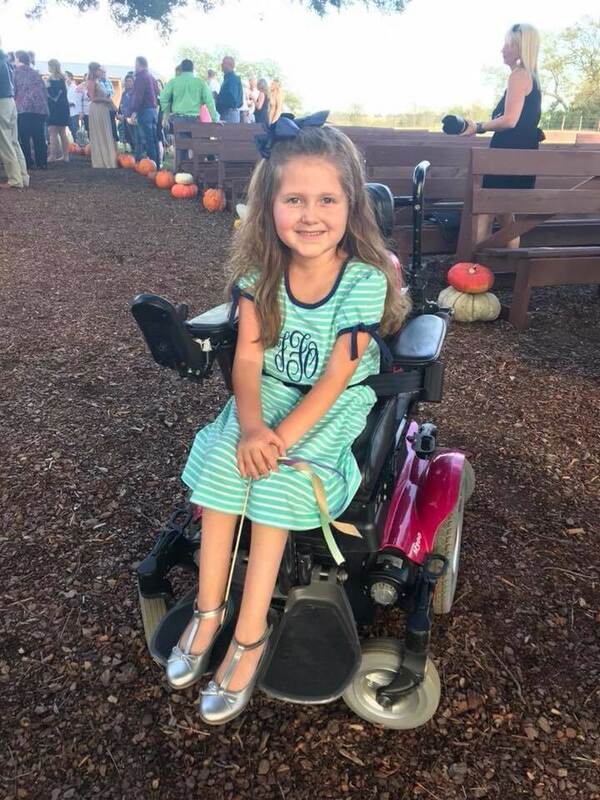 Today, Faith is a happy, energetic 6-year-old who is currently receiving and benefitting from the recently FDA-approved SMA treatment, Spinraza. A first-grader at South Bosque Elementary School in nearby Woodway, Texas, Faith is an outstanding student and loves to dance, cheer and play softball in her free time. “She’s into everything,” Leeann says, laughing. Most of all, Faith enjoys accompanying her family on visits to local MDA partners, where she helps to put a face to muscular dystrophy. Soon, America will get the chance to know Faith, her family and her remarkable story very well. On March 12, in front of more than 700 stakeholders including clinicians, health care providers and researchers at the MDA Clinical Conference in Washington, D.C., Faith was announced as one of MDA’s two 2018 National Ambassadors. Along with 17-year-old Justin Moy of Concord, Mass., Faith will represent MDA on the national stage, visiting with sponsors, partners and lawmakers and participating in signature events. As part of her responsibilities, Faith and her family will share her ambassador journey with the MDA community. Over the years, the ambassador program has brought tremendous visibility and awareness to MDA. Former ambassadors have met with U.S. presidents, such as John F. Kennedy and Ronald Reagan, and for many years appeared alongside Jerry Lewis in MDA’s signature Labor Day Telethon. Faith and Justin, who are the first National Ambassadors selected to serve jointly in MDA’s history, succeed 26-year-old Joe Akmakjian of Fort Collins, Colo., who recently ended a successful two-year term as MDA’s first young adult National Ambassador. Spinraza has helped Faith stay out of the hospital, which has not only enabled her to take on a busy travel schedule as a National Ambassador but also might very well have saved her life. Faith brings a fresh perspective to the ambassador position that has never previously existed. With the recent surge in FDA-approved treatments, and with so many promising clinical trials taking place, more MDA patients than ever before are being positively impacted by advances in scientific research. Faith represents a new generation of patients who are benefitting from MDA-backed research — benefits that she can attest to firsthand. In addition, Faith brings many other qualities to the table that will serve her well as an MDA National Ambassador. With her confident, bubbly personality and a desire for advocacy instilled in her by her family, Faith is ready to spread messages of hope and perseverance to others. “It’s OK to be in a wheelchair, and it’s OK to be who you are,” Faith says. “You can do anything, whether or not you are in a wheelchair. Now that you’ve met Faith, meet Justin! He and his family shared their story on our blog, too. Help kids and adults like Faith and Justin continue to live longer and grow stronger!